We took a good, hard look at our under $300 bass chart and realized a few older models needed changing – these included the Ibanez SR250 and Epiphone EB-0, which were removed. 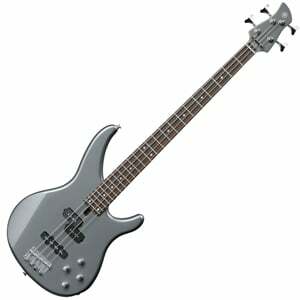 In their place, we added three cool affordable models comprising the Sterling by Music Man S.U.B. Series Ray4, the Yamaha BB234, and the Jackson JS2. 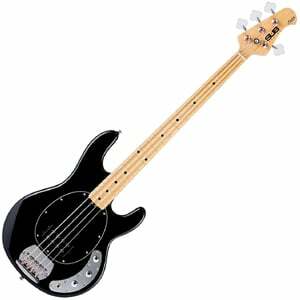 Many experienced bass players will tell you that shopping for a cheap bass guitar is much harder than shopping for a mid or top tier model. In many ways, this is logical. We have already shown you the best of the best when it comes to models you can pick up for less than 200 dollars, so now it’s time to go a step higher. When you push that budget a bit further, and move it to around 300 dollars, the selection of bass guitars you can find becomes a lot more flexible in terms of design and features. The ones we have found represent a great cross-section of different styles, but all of the bass guitars you are going to see will get you the performance you are looking for. Whether you are a beginner who wants to get something that is on a level above your entry level range, or an experienced bass player looking for a second bass, these bass guitars will be a great fit. With that said, let’s start our rundown and see what we have in store for you today. Real StingRay style and tone at an affordable price. A staple of the affordable category with a huge performance. A solid introduction to the newly-improved BB Series. Awesome and affordable Gretsch that packs a lot of heat and style. A classic Jackson in build, tone and attitude! An affordable hollow body that actually works, although rough around the edges. While it’s not a genuine Music Man StingRay, Sterling sure do know how to make a great licensed model of MMs greatest hit – the Ray4 is proof of this! As we’ve discussed in the full review of the Ray4, this model is based on the blueprint of the original StingRay, with a basswood body showing off the distinctive double-cutaway shape and oval pickguard. The maple neck is hugely playable and sports a maple fretboard with 21 frets, while the overall craftsmanship is commendable. As for electronics, it comes with one punchy humbucker at the bridge for great tone and ultimate simplicity. It’s not a high-end bass, but it certainly shows some qualities of one! We have already shown you one of Yamaha’s affordable models in our article that talks about the top basses in the sub $200 category. Now it’s time to show you one more. 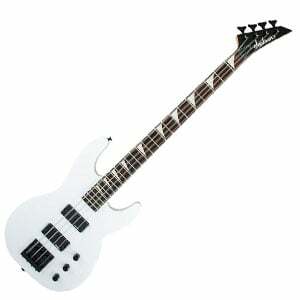 The TRBX204 is a part of a very successful series of bass guitars. They are considered to be a safe choice for anyone ranging from beginners to pros. TRBX204 brings a great combination of quality craftsmanship, awesome performance, and great value. This particular model from the TRBX line features a basswood body and a standard maple neck. The electronics come in form of a Jazz setup at the bridge, and one single coil pickup at the neck. These are active and come with a two-band EQ. Overall, TRBX204 is one of the best playing and best sounding bass guitars in this price range, even though it sits comfortably in its middle. For many bass players, it is the default choice. People have grown to appreciate the build quality and reliability of Yamaha’s bass guitars, and that is exactly what you can expect to see from the TRBX 204. In all honesty, it can stand shoulder to should with some of our top bass picks for the $500 range. Yamaha recently revamped their famed BB Series to include a few upgrades to playability, comfort and tone. The BB234 is the entry-level model in this series and proves a great introduction to the collection! As we highlight in the full review of the BB234, this bass features a slightly smaller body than previous years as well as a maple neck that sports a thinner profile for enhanced comfort. The hardware has also been subject to a few upgrades, with two passive Custom V3 pickups at the bridge and neck positions, with simple but effective controls. You’ll also find new lightweight open-gear tuners as well as a chrome fixed bridge for an all-round reliable bass with a versatile tone. Not a lot of people are aware that Gretsch builds a lot more than just high dollar semi-hollow guitars. They also happen to have a pretty impressive line of affordable bass guitars, which bring an interesting blend of that all familiar Gretsch style and reliable performance to those who are on a tighter budget. One model that we want to show you is the G2220. This bass comes with a Les Paul style body, which Gretsch calls Jet and a short scale neck. The pickups are passive, but they are one of the best-performing ones you can find. 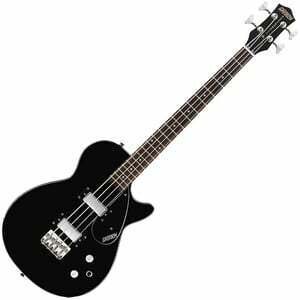 Overall, this Gretsch is one impressive bass guitar that punches slightly above its price range. If you are tired of seeing the same old design with a different logo and would like to get something more unique, Gretsch G2220 is one of the few options you have out there. Whether you are a new player or someone with more experience, G2220 should definitely be on your list of potential choices. Jackson make a rare entry into our bass charts with this rock-focused JS2, showing off features that make it perfect for the budding stage performer. With a 34” scale length, it displays killer looks that resonate with the rest of Jackson’s JS Series – a defined double-cutaway body, cool paintjobs and the iconic Jackson pointed headstock. It plays incredibly well too, with a satin-finished reinforced maple neck with a compound radius and 24 jumbo frets. As we mention in the full review of the JS2, it’s voiced by two decent stock humbuckers with a high output and good dose of aggression in the low-end. Hardware is reliable and controls are simple, making this great for both beginners and budding stage performers. Last but not least, we have something truly special. Rogue VB100 Violin Bass is probably the most unique bass guitar in this segment of the market. Violin in its name becomes clear after you take one glance at the VB100. The body style clearly resembles this acoustic instrument, which adds a whole new layer of attractiveness to the whole package. The finish is a tobacco-burst of sorts, much like you can find on high dollar semi-hollow guitars. And there’s a good reason for that. 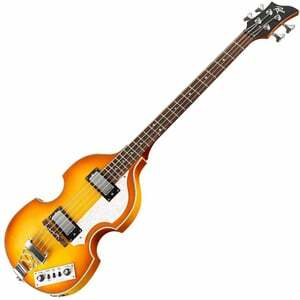 VB100 sports a European style hollow body, which is why many call it the ‘Beatles bass’. Aside from its unusual design, Rogue VB100 Violin Bass packs two awesome humbuckers which are controlled by dual volume controls and a mini EQ section. In terms of tone, you are looking at one pretty squared away bass. Its hollow body nature definitely shows when you plug it into an amp, but you can still pull off a variety of tones. While it’s probably not the number one choice for a beginner, a more experienced player will probably find this bass guitar to be a welcome challenge. 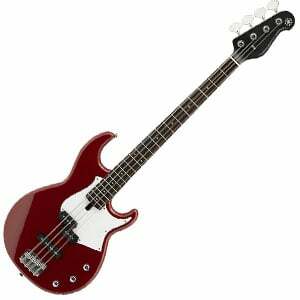 There we have it – six excellent bass guitars that come in at $300 or less. As you will notice, the basses in this price range vary in style, but all show off good playability, tone and value. If you’re looking for your first bass guitar, there are cheaper price ranges to look in – in fact, you can actually pick up a decent starter bass for around 100 bucks. However, by stretching into this slightly higher-end range, you’ll see a big increase in design and sound quality, and may find something that will last you a lot longer than a no-frills budget bass. Whatever you decide to go for, good luck with your bass adventure! Cool list! About the Gretsch, doesn’t ‘Junior’ mean it’s meant for the younger crowd? or for people with smaller hands? or is it just a smaller bass in general? I just want to know if it will feel funny switching from a standard sized bass?